College Golf Camps is focused on offering junior golfers everything they need to play college golf. One of the most common questions at our camps is “What is a good SAT/ACT score?” or “How many times should I take the SAT/ACT?”. You may have heard of Shaan Patel. He was originally on the show “Shark Tank”. Mark Cuban invested and now Shaan is becoming a household name. Shaan Patel, an associate of College Golf Camps is now offering a 50% discount on the following products. Please College Golf Camps and ask how to activate the 50% discount. Athlete’s Mental Edge – how can YOU improve quickly!! College Golf Camps is on a mission to improve junior golf. What if you could predict future performance? What if you could identify areas for improvement? What if you could measure the “it” factor? Every junior golfer sends college coaches their resumes filled with relatable data about their golf games. Swing profile, tournament profile, stats, test scores, videos, etc. Almost never do you see junior golfers measuring their mental game or their competitiveness. What if you could provide your swing coach or college coaches your mental framework. In terms of, how do you best respond to direction? College Golf Camps research team has found a way to help identify your mental holes and more importantly how to fill them. You need to take this test. It will blow your mind. Your development will soar to new heights. More importantly, your trajectory for improvement will increase dramatically. Dr. Nick Molinaro, a College Golf Camp associate uses this test to improve player performance. AME is an innovative Web-based program designed to provide athletes with detailed mental toughness assessment and training strategies to help them perform better in competitive, pressure-filled situations. Critical performance factors include focus, confidence, discipline, and leadership. AME is based on the internationally respected and widely used TAIS (The Attentional and Interpersonal Style) test, which was developed by Dr. Robert Nideffer in 1976. Every athlete, from the high profile professional to the weekend warrior, can now Perform Under PressureÔ by participating in the program and comparing their results with top athletes in various sports. Any recreational, amateur or professional athlete interested in performing at their fullest potential. Coaches at any level interested in getting maximum effort out of their players. Parents who want to help their sons or daughters to focus on success. Participants answer an easy-to-understand on-line inventory that measures attentional strengths and weaknesses, decision-making style and interpersonal preference. Based on TAIS technology, AME provides a direct link between concentration, personality characteristics and performance. AME provides a detailed diagnosis of the individual athlete and provides vital feedback that teaches users how to better concentrate and focus their minds in pressure-filled sports scenarios. Aside from on-line instruction, users can take advantage of a team of leading sport psychology professionals that offer personalized face-to-face evaluation and assistance for athletes and teams. WHERE does AME draw its information from? Winning Mind has collected over 25 years of TAIS data from comparison groups including Olympians, professional athletes, coaches, high-level amateur athletes, military leaders, business executives and sales managers. AME comparison groups include MLB 1st Round Draft Picks, NBA players, coaches, NCAA football players, elite and amateur golfers, Olympic basketball, hockey, skiing, cycling and volleyball athletes and tennis pros. Ask questions, seek advice, it’s FREE information for junior golfers, parents, coaches, everyone!! Ask questions, volunteer advice, talk about your experiences … Anything related to golf….kind of like standing on a driving range…..
We ask that you take a minute to read the forum rules and etiquette. We ask that you follow these simple rules to allow us to keep our forums open to all that may want to post. We ask that you respect the purpose of the forum and do not act in any way that harasses or personally attacks an individual or group of individuals. We also insist that you act in a manner that ensures a high quality of discussion in the stated purpose of the message board.Thank you and please read on. Forum Rules, College Golf Camps Forums In order to facilitate the free and respectful exchange of opinions about all things golf, the following rules must be observed. PLEASE READ THESE RULES CAREFULLY. Failure to comply with any rule may result in loss of privileges. or which might subject us to legal liability. Posters will be expected to maintain basic courtesy toward the opinions of others. Please avoid negativity and stay positive, everyone is entitled to an opinion. We expect members to agree or disagree in a civil manner. Personal attacks will not be tolerated. No Spam or posts containing Advertising are allowed without the express permission of the publishers of the Forum Boards (Ask the Board Admin for information). The use of profanity will not be tolerated. Posts containing inappropriate language will be removed. The use of HTML code (where allowed) in posts should be limited to golf related links. Please avoid lengthy files. For performance reasons, please limit any graphics to which you post links to images 100K or less in size. If you’re not sure, don’t post it! Under no circumstances will any graphics or links to pornographic, racially offensive or any other offensive material be permitted. Please refrain from posting using ALL CAPITAL LETTERS. Capital letters are great for emphasis, but it is annoying to read posts that are all caps. Even posts that are almost all caps may be removed without warning. If you have nothing constructive to provide on a forum (determined by any of the Board Administrators) your posts can be removed without warning. If you continue to make posts that offend any person or group, you may be banned. Further abuses or violation of these terms and conditions will result in an “abuse report” being filed with the offending parties ISP. College Golf Camps Forum is intended to be an “Idea and Information” exchange, to help anyone involved in junior golf. Scenic Springdale Golf Club is nestled among the beautiful buildings of Princeton University and Theological Seminary. Formed in 1895, Springdale Golf Club is one of the oldest in New Jersey. College Golf Camps Events include education components to become a better golfer. College Golf Camps facilitates top location venues, partners with superior coaches, and works steadfastly with junior golfers for their improvement. The Ivy League is a collegiate athletic conference comprising sports teams from eight private institutions of higher education in the Northeastern United States. The conference name is also commonly used to refer to those eight schools as a group beyond the sports context. Trump National Doral Miami Florida prestigious and luxury Miami resort offering deluxe and elegant accommodations, re-designed clubhouse, four championship golf courses, spa services, recreational amenities, luxurious event spaces and premier dining options. College Golf Camps Events Curriculum includes subject matter important to become a better golfer. College Golf Camps seeks great venues for golf camps, partners with stellar coaches, and works hard with junior golfers towards their improvement and goals. The Atlantic Coast Conference (ACC) is a collegiate athletic conference in the United States of America in which its fifteen member universities compete in the National Collegiate Athletic Association (NCAA)’s Division I, with its football teams competing in the Football Bowl Subdivision (FBS), the highest levels for athletic competition in US-based collegiate sports. The ACC sponsors competition in twenty-five sports with many of its member institutions’ athletic programs held in high regard nationally. Members of the conference are Boston College, Clemson University, Duke University, Georgia Tech, Florida State University, North Carolina State University, Syracuse University, the University of Louisville, the University of Miami, the University of North Carolina, the University of Notre Dame, the University of Pittsburgh, the University of Virginia, Virginia Tech, and Wake Forest University. For over a hundred years, the elegant Stockton Seaview Hotel and Golf Club in Galloway, New Jersey, on the New Jersey Shore has graciously played host to presidents, rock stars and golf greats. College Golf Camps is excited to provide this exceptional opportunity to you and your family. College Golf Camps Events Curriculum includes subject matter essential to become a better golfer. College Golf Camps seeks great location venues, partners with experienced coaches, and works hard with junior golfers for their improvement. Pinehurst, Texas and California Camp Curriculum includes 21 hours of Education, and 9 hours of competition. College Golf Camps places emphasis on instruction, education, practice and competition growth. College Golf Camps has the resources you need to become a better golfer College Golf Camps facilitates the best location venues, partners with the most accomplished coaches, and works endlessly with our junior golfers to improve their game. Pinehurst, Texas and California Camp Curriculum includes 21 hours of Education, and 9 hours of competition fun. College Golf Camps places emphasis on instruction, education, practice and competition growth. Course Management and Tips including How To Manage Your Way Around the Golf Course. Contact College Golf Camps of America today to learn of the Three Day National Junior Golf Exposure Camp in Dallas, Texas for 2017. Or sign up for the San Diego, California and Pinehurst North Carolina – College Golf Camps today! At CGC, we have all the resources you need to become a better golfer, we work with the best venues, partner with the best coaches and work tediously along our junior golfers to improve their game. Each Exposure Camp Curriculum includes 21 hours of Education and 9 hours of competition fun! With emphasis on instruction, education, practice and competition growth. The key to being a successful putter is to deliver the putter head with the right energy at impact and the club face pointing in the right direction and do that consistently well. You cannot on one stroke be perfect and on the next, nowhere near the mark. What you will see with expertise in putting is really high levels of consistency with putter head delivery. If you measure them on a SAM or a GBD system you will find that the standard deviations of face angles, dynamic loft, etc are approximately 0.3 of a degree. That is very low and that might be over 10 or 15 putting strokes. The levels of variability or the standard deviations as you move proximally at expert players, increases a little bit and this is their mechanism of coordinating the stroke. Good putters are also able to coordinate their movement and compensate if need be. Good putters are also able to coordinate their movement and compensate if need be. If they pull a little bit too hard with the lead arm they can compensate by doing something different with the forearm and the hand in order to deliver the club or the putter, with the precision necessary to make the putt. If you didn’t have this subtle coordination amongst the body segments involved in a stroke, then if one part of the body made an error on the stroke, then that would be it. It will be all over. All of the putting coaches that Dr Rob Neal works with (David Orr, Paul Hurrion and Phil Kenyon) strongly argue that this coordination of the body segments is one of the things that separate the good putter from the really good putters. Really good putters have the ability to compensate or modify what they are doing within the stroke in order to produce the right outcome in the putter head. The process that I would typically go through is examine what someone does with the putter first. What the stroke mechanics look like,face angle, dynamic loft, putter path, rise angle, etc and then work my way from the putter back to what the body was doing in order to produce that particular pattern of movement. The process that I would typically go through is examine what someone does with the putter first. The challenge then is to find good elements in anyone’s putting stroke and then be able to modify those things and maybe disruptive in their technique and really make a difference for them putting reasonably well, and putting poorly. There is no one solution that we would dictate is right for everyone because it’s to change a motor pattern, so we are looking for things that have the maximum impact with the minimum change. Sometimes, that might be changing the putter or changing the loft and lie on the putter. If the stroke itself is really consistent but there is too much dynamic loft, at impact then the simple solution would be to change the loft on the putter, reduce it by a couple of degrees or if there is not enough dynamic loft at impact, then maybe the ball needs to be put further forward in the stance so that you could make the same stroke but catch it at a different point during the arc that the putter is making. I can tell you as opposed to what some people think, “try to keep the hands out of your putting stroke”, every person we have measured has hand action during their stroke. So it’s not like you can get rid of it, in fact, it’s probably a good thing to have in there. 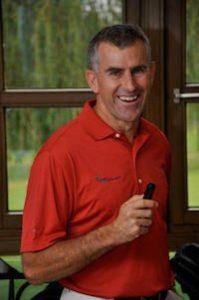 Dr Robert Neal, CEO, established golf biodynamics (GBD) in 2000 with the intention of providing the best possible biomechanics service available to golfers and teaching professionals alike. A unique skill set has made this a reality. Today, the GBD philosophy towards performance enhancement has not changed, we are proponents of an integrated approach to supporting “the golf athlete”. That is, we combine a scientific approach with the practical skills necessary to bring about technical change, all of which is performed in conjunction with the teaching professional and athlete’s own support network (which may include the athletic development specialist, physical therapist, podiatrist, nutritionist etc). The diverse nature of our clientele reflects the extensive skill set that rob and others in our GBD team bring to the table. While GBD regularly works with golfers of all playing abilities (playing professionals and recreational golfers) we also consult to teaching professionals and organizations such as the Jim McLean golf schools, the Titleist Performances Institute (TPI), the Australian Institute of Sport (AIS), various PGA’s worldwide (Australia, New Zealand, US, UK, Denmark, Germany, Sweden, and Switzerland), The Danish Golf Union, The German National Team and more. 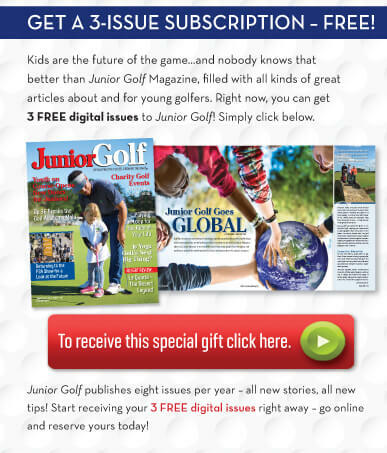 Eight issues per year are published and each has new stories, and play junior golf tips. Start receiving your 3 No Cost Digital Issues right away. Reserve your free subscriptions online! SPECIAL BONUS SNEAK PREVIEW: View the December Junior Golf Magazine, Flipbook, enjoy our December issue to know what everyone has been talking about! Our mission is to provide the highest quality experience, while incorporating more than typical junior golf student athlete experiences. At College Golf Camps we focus on teaching and educating all aspects of the junior golf competition. Our College Golf Camps are purposed to educate parents, and student athletes, as well as prepare golfers for College Golf. At College Golf Camps Events, please expect first-class experiences including advanced golf offerings, as well as competition, while preserving the importance of having fun during the entire process, and events. Register for College Golf Camps Events to experience golf instruction like never before.